The grant was organized by Ludewig's family after she unexpectedly died of pancreatic cancer. Nancy Ludewig may have been one of the Monmouth’s most engaged citizens — she taught at the town’s grade school, raised funds for the expansion of the Cumston Hall Library and organized an annual quilt show, among other contributions. But she never expected a large crowd to come to her funeral, according to her husband, Douglas Ludewig. 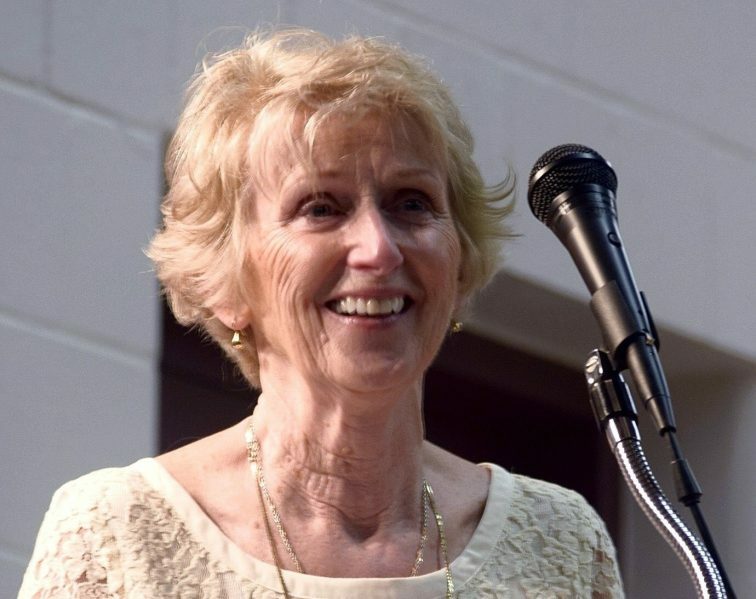 Yet after Nancy Ludewig died earlier this month following the rapid onset of pancreatic cancer, shocking everyone who knew the active 73-year-old, more than 300 people came to her memorial service at Cumston Hall. It was seemingly a measure of how many lives she touched over the years. Now, the Ludewig family is trying to honor Nancy’s legacy in a way that she would have appreciated. They’ve started a continuing education grant in her name, which will be handed out to a graduating senior of Monmouth Academy every spring. Given how many people knew “Nance,” her husband said, that grant will probably stand out from the others that are awarded each year in the memory of older figures. Residents are also considering naming a room in the Cumston Hall Library after Nancy Ludewig, her husband said. She helped raise money for the expansion of that library. Nancy Ludewig also wrote and directed drama productions for local students, organized quilt show fundraisers, taught quilting classes, wrote articles for the Monmouth Museum newsletter, organized a chili-and-chowder challenge that raised funds for fuel assistance, and made sure flowers were placed downtown, according to her obituary. She also pushed the area school district to take better care of the grounds of Monmouth Academy, her husband recalled. “She was just very interested in making sure everything looked nice,” he said. Contributions to the Nancy Bates Ludewig Continuing Education Grant can be mailed to David Heckman, 157 Academy Road, Monmouth, Maine 04259. Make checks payable to Monmouth Academy Trustees. Memo: Nancy Bates Ludewig Continuing Education Grant.